The transfer and registration of immovable property from a seller’s name into a purchaser’s name is not as straightforward as one may think. A property transaction is not only a lengthy and complicated process, but is costly too; and oftentimes unaffordable for the underprivileged. 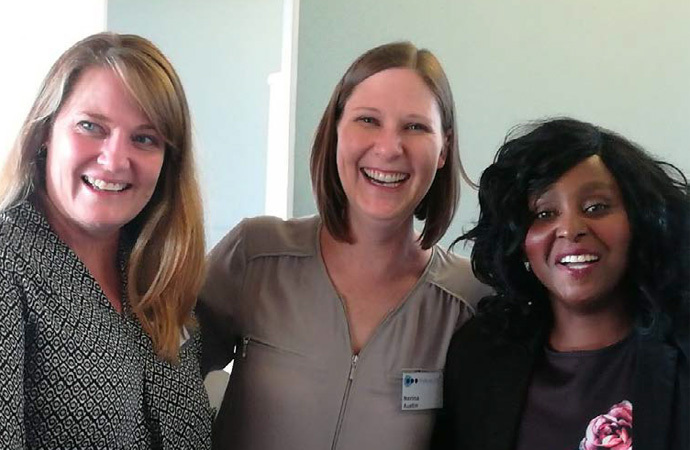 This proved to be the case with Glenda Samuels who approached ProBono.Org Cape Town for assistance with the transfer of immovable property she purchased in 2014 for R110 000.00. 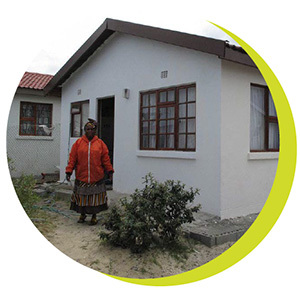 Ms. Samuels is an unemployed single mother who receives a state grant for her two minor children and would not have been able to afford the conveyancing fees applicable to her sale, which would have amounted to approximately R8 000.00. Ms. Samuels’ initial consultation was held during July 2017, but various challenges resulted in the process being delayed even though a conveyancer, Vickie Collins from Da Costa Incorporated, accepted the pro bono instruction. One of the many challenges arose from a condition attached to the title deed, in terms of Section 10 (a) and 10 (b) of the Housing Act 107 of 1997, which stipulates that the owner of an RDP house has to get permission from the Director General of Human Settlements prior to a transfer being permitted.. As a result, the conveyancer required written confirmation from the Department confirming that it had no objection to the transfer, which was received on 16 August 2017. 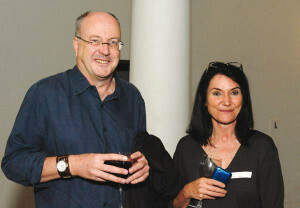 In addition, the seller was often unavailable to sign the necessary documents as she resides outside Cape Town. The parties finally managed to meet at our offices on 28 November 2017, and Ms Collins guided them through the signing process and ensured that everything required for lodgment at the Deeds Office was in order. All interested parties view this as a major victory, and a step in the right direction in our effort to making access to social justice more easily accessible and realisable for the poorest sector of our society. 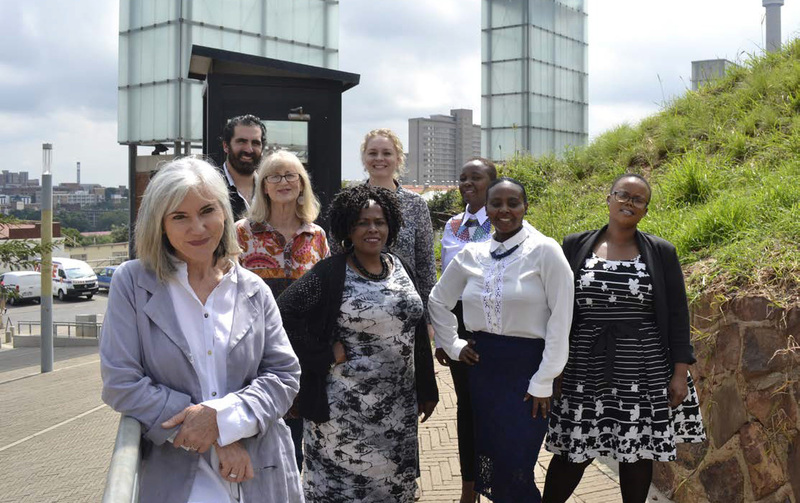 On 30 November our Johannesburg office hosted some of the attorneys who did pro bono work for us during the year, either by taking on cases or staffing a legal clinic or help desk. The session provided useful feedback to us about constraints at some of the courts and how we could assist to make the work easier. There was also an animated discussion about mediation as an alternative dispute resolution in family law cases and attorneys asked for training on this. Grateful thanks to everyone who volunteered their time to assist our clients this year. It is with some sadness that after eleven very special and fulfilling years at Probono.Org, I have decided to step down. These years have been incredibly rewarding and enriching and I have enjoyed so much seeing the organisation grow and blossom in front of my eyes. My time at ProBono.Org has been exciting, periodically demanding, and yet very satisfying. I have met a wide range of incredible people from the donor world, from the private legal fraternity and from civil society organisations. All have supported and backed my work in different ways which has been so very encouraging. Perhaps the most special and significant experience I have had has been seeing how our collective effort has improved the lives of the many thousands of impoverished and vulnerable people who have been our clients every year. So many of them have been able to access legal remedies that have made a vast difference to their lives and each success story has been extremely heartening. South Africa has one of the most inclusive Constitutions in the world, yet frequently ordinary people do not know the powers of the Constitution. 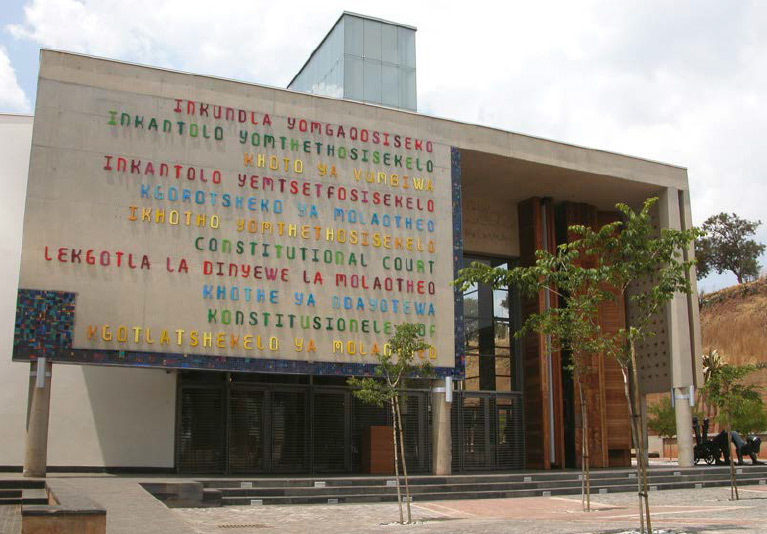 It has recently been made more visible because of the well-publicised “Nkandla” case, which was heard in the Constitutional Court. Even when people see the Constitution being put into practice, few people have a real understanding as to how it relates to them. A perfect example is Section 36 of the Constitution, which outlines the Limitation of Rights. The section provides that the rights in the Bill of Rights may be limited only to the extent that the limitation is reasonable and justifiable in an open and democratic society based on human dignity, equality and freedom, taking into account all relevant factors. To illustrate, I will use a case regarding a deceased estate and its surviving heirs. J and B are brothers whose mother died intestate. J went to the Master’s Office to report the estate but falsified facts by saying he was the only surviving heir of his mother’s estate. He was then issued with Letters of Authority. Subsequently J transferred his late mother’s property to himself and then sold the property to a third party. B now seeks legal assistance to reverse the title back into his mother’s deceased estate. The problem the court would be faced with is how to remedy the matter. Should the court reverse title back into the deceased’s estate? What happens to the innocent third party who bought the house from J? Does the third party seek restitution from J for fraudulently selling him the house? Does B claim his half share of the sale of the estate from J? All these scenarios are things clients may not take into consideration when seeking legal assistance or when they say with conviction that the Constitution protects them and that they have rights. It is good that there are discussions amongst ordinary people about the Constitution, but now the conversation needs to be taken to a higher level where people are no longer just scratching the surface. People need to be educated on how the Constitution works for them in their day to day lives, making them understand that while we all have rights which are protected by the Constitution, these rights are limited and that these rights cannot infringe on the rights of others. 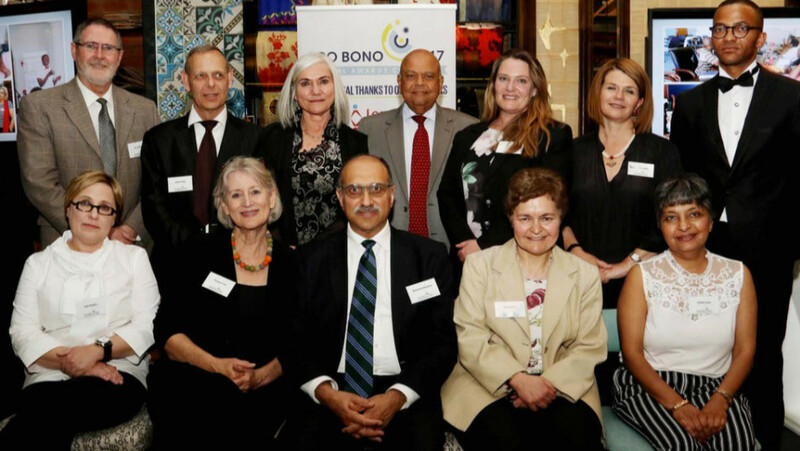 ProBono.Org Durban says Thank you! 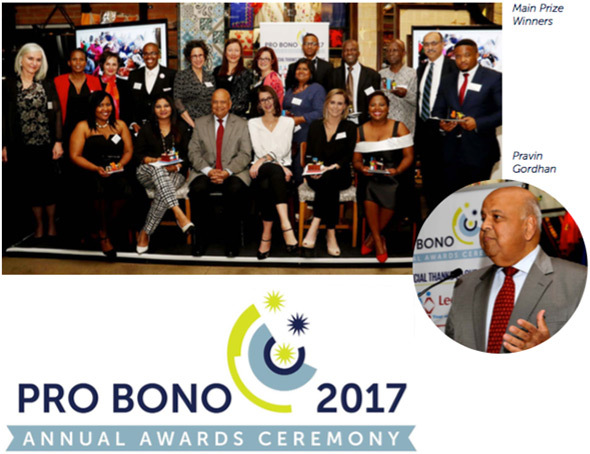 Showing appreciation to attorneys, advocates and organisations is one of the events that the Durban staff looks forward to hosting. Not because we get to “glitter and glamour” on the day, but because we are able to give a little something back to those who go above and beyond to assist ProBono.Org and our clients. This year, we held our second annual Appreciation Day event on 9 June at the AHA Waterfront Hotel. This occasion marks the growing success of our organisation. It is an opportunity for our staff to meet and greet some of the attorneys that we do not have an opportunity to work with. 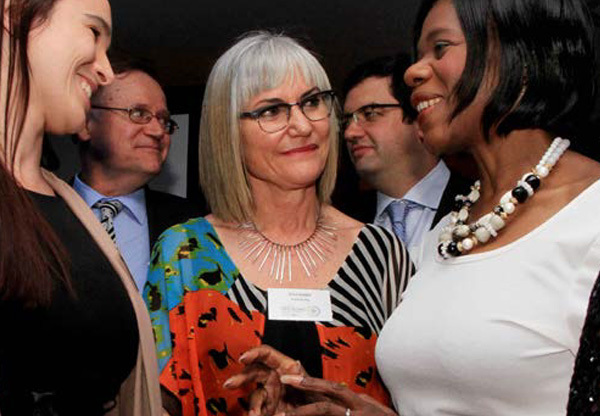 This year we were fortunate to be able to share the event with our Johannesburg colleagues. 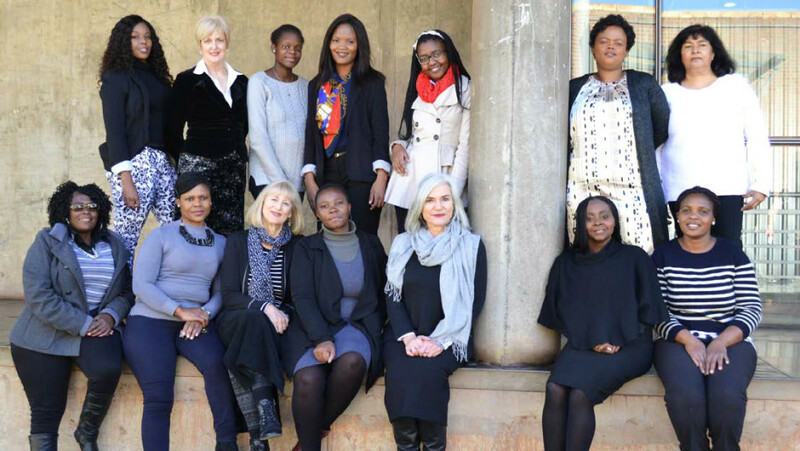 The help desk at the Durban High Court was established by ProBono.Org as part of a pilot project in April 2017 in partnership with the KwaZulu-Natal Law Society to fulfil their mutual vision to address the lack of access to justice for unrepresented people and communities appearing before the High Courts. The ultimate aim and objective of this partnership is to promote the right enshrined in section 34 of our Constitution, which gives everyone the right to access to courts. The idea for the project came from the Deputy Judge President of the KwaZulu-Natal Provincial Division of the High Court, the Honourable Justice Madondo. Since its establishment, the help desk has assisted a number of disadvantaged people who would otherwise not have obtained the relief they desired. The growth of the desk is evident from the numbers of people we attend to, which is increasing daily. In June alone, 44 clients were seen. The desk deals with legal issues ranging from housing, evictions and consumer law to family law. Many matters coming before the desk are of a family law nature, specifically dealing with urgent applications regarding children and their rights. These matters are given immediate attention due to their urgency, as they require an application to be brought or opposed in court within a very short period of time after the matter is brought to the desk. The challenges and pressure in these matters are overcome by the dedication of the advocates who are readily available to come to our organisation’s assistance in taking on the matters at short notice. 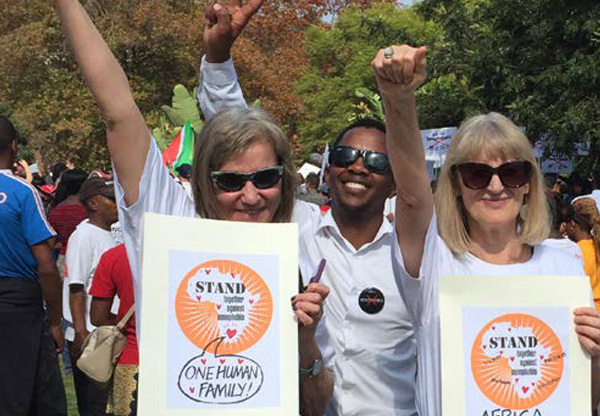 We hope that the commitment the volunteer attorneys and advocates have shown will continue and inspire other legal professionals to get involved in contributing to the vision of making justice accessible to all, irrespective of wealth or status. 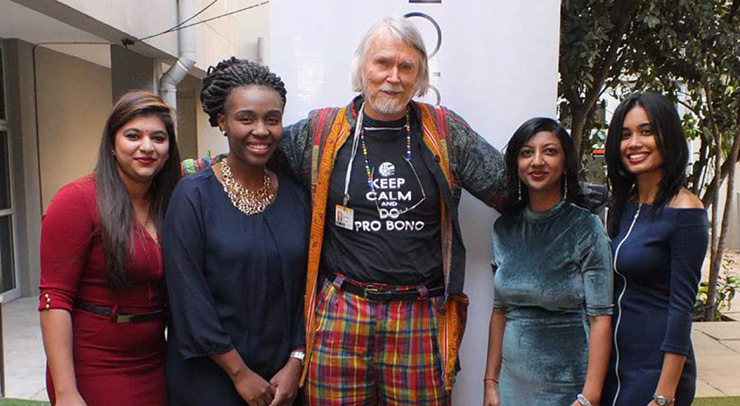 ProBono.Org is saddened by the sudden passing of Nic Swart on 10 August in Botswana, where he was attending the SADCLA conference. 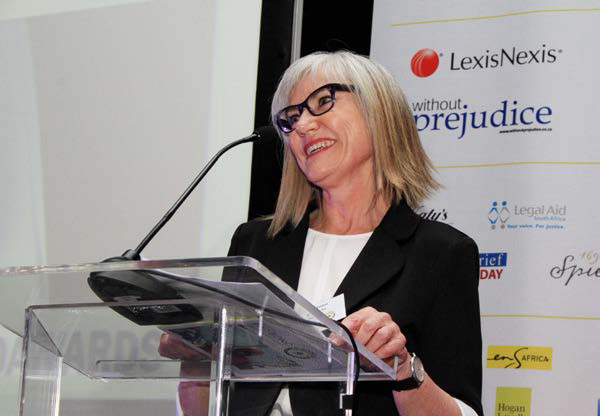 Nic was the CEO of the Law Society of SA (LSSA) and the founder and director of Legal Aid and Development (LEAD), responsible for the professional training of attorneys. Since 2003, there has been an enrolment of 10 000 per annum at LEAD courses. 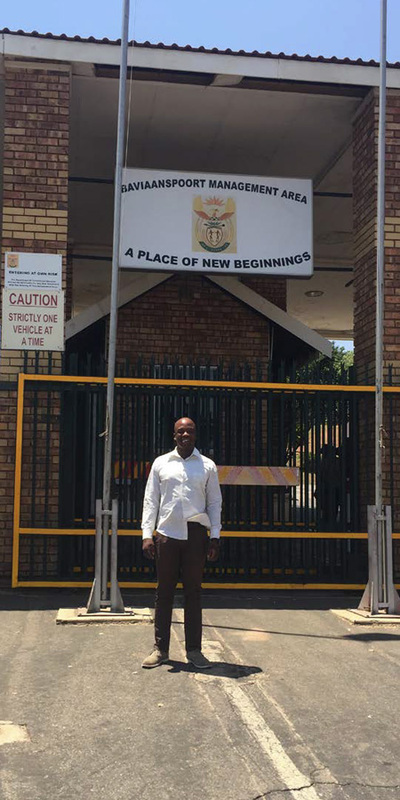 Prior to serving in these two institutions he was a professor (extraordinary) at the University of Pretoria and a senior lecturer at the North West University law faculty. He also sat on a number of boards. 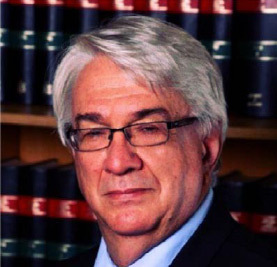 He held BA LLB and B Com degrees from the University of Pretoria and UNISA, and was both an attorney, advocate and certified assessor, moderator and facilitator. In 2015 he was awarded the Lexis Nexis SA Rule of Law Award. May he rest in peace.